Madhya Pradesh govt. 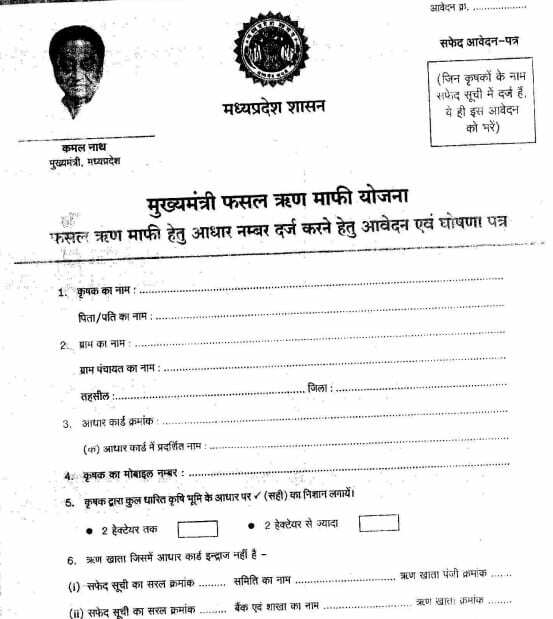 invites green / white / pink (gulabi) application forms for MP Jai Kisan Fasal Rin Mafi Yojana (जय किसान फसल ऋण माफी योजना). The latest news, link to download application form, notifications and details about the Kisan Karz Mafi Yojana 2019 are available at the mpkrishi.mp.gov.in portal. Under this Farm Loan Waiver Scheme, govt. is going to waive off farmer bank loans upto Rs. 2 lakh of farmers. The budgetary allocation for Jai Kisan Rin Mukti Yojana is Rs. 50,000 crore. MP Kisan Karj Rahat Scheme will cover around 55 lakh small and marginal farmers across the state. The latest notification dated 15 January 2019 stated that the name of Mukhyamantri Fasal Rin Mafi Yojana has been changed to Jai Kisan Fasal Rin Mafi Yojana. All the farmers who have taken bank loans from cooperative, nationalized or regional rural banks are to be waived off. 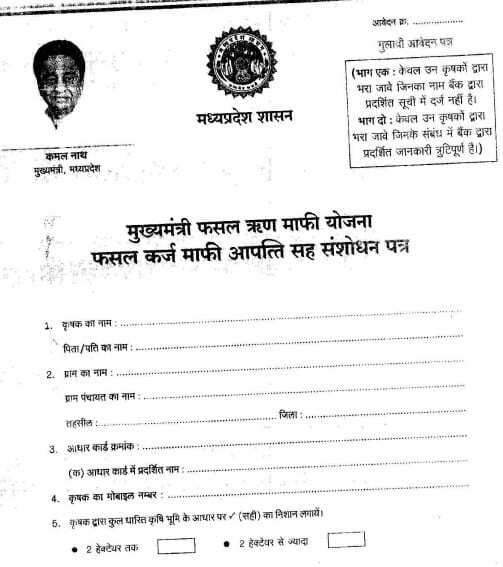 Pink (गुलाबी) Form – For any complaint or claim on Jai Kisan Fasal Rin Manfi Yojana, farmers can fill pink (gulabi) form. White Form (सफेद) – For farmers whose bank account is NOT linked to Aadhaar and have taken farm loans. 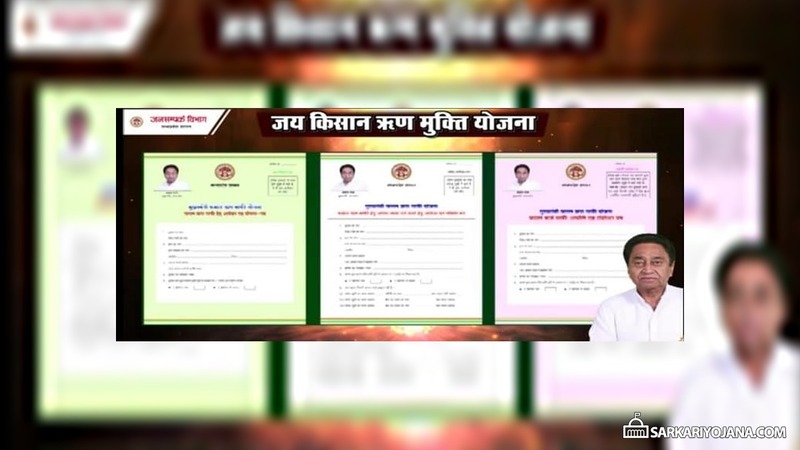 All the different category farmers will have to fill these different color forms to become eligible for loan waiver under this Madhya Pradesh Jai Kisan Rin Mukti Yojana.